This page includes fundraising, social events, committee meetings and particular services for the Six Saints Parish as a whole. For all Church Services see the Services page. 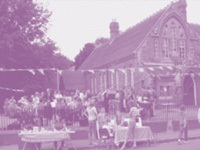 In addition to fundraising for the Church, the Parish organises events in aid of defined charities.